Pou whenua are carved posts placed strategically on the land to acknowledge and represent the relationship between tangata whenua (the people of the land), their ancestors and their turangawaewae (place of standing). 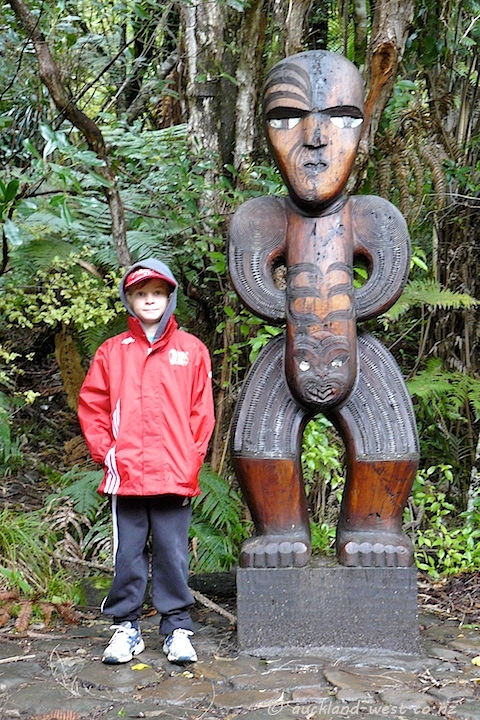 Beside the carved statue we see our 8-year-old grandson Zac who is presently visiting his Omi and Opa. He traveled by himself (assisted by friendly Air New Zealand personnel) from Sydney to Auckland to fill our house with an abundance of life for about two weeks of school holidays! A most enjoyable visit that will end on Saturday.